TNC is the largest and most prestigious European research networking conference, with more than 650 participants attending this annual event. It brings together decision makers, managers, networking and collaboration specialists, plus identity and access management experts from all major European networking and research organisations, universities, worldwide sister institutions, as well as many industry representatives. Through keynotes speeches by renowned specialists, varying parallel sessions, demonstrations and presentations, TNC presents participants with a unique overview of the latest developments in research networking, both in the technical field and in the area of application and management. Marie Moe, Research Scientist at SINTEF ICT, and an Associate Professor at the Norwegian University of Science and Technology, Norway. Helge Stranden, Senior Advisor on ICT and HPC physical infrastructure at Uninett, Norway. Meoli Kashorda, Executive Director of Kenya Education Network (KENET) and professor of information systems at United States International University - Africa (USIU) in Kenya. Alexandra Bech Gjørv, President and CEO of SINTEF, Norway. Andrew Woods, Senior Research fellow at Curtin University in Western Australia. TNC18 will focus on a variety of thought-provoking sub-themes such as: the power of the Internet, the responsibility of sustainability and delivery, the power of data analytics, the creation of intelligent complexity, and networking at the speed of science. In its 34th edition, will be hosted by Uninett. 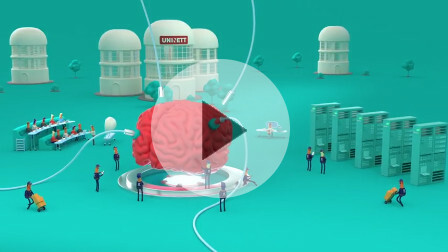 Uninett develops and operates the Norwegian national research and education network, interconnecting about 200 Norwegian educational and research institutions and more than 300 000 users, as well as giving them access to international research networks. The conference will be held in Trondheim, Norway's third largest city and home of the main campus of NTNU, Norway's largest university. 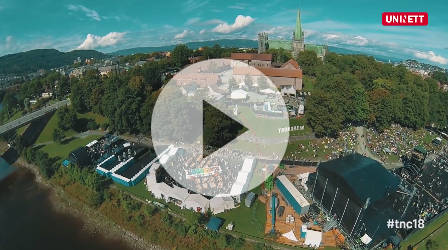 WATCH the TNC18 Promo Video!